Need more information about booking Home 286378 ? 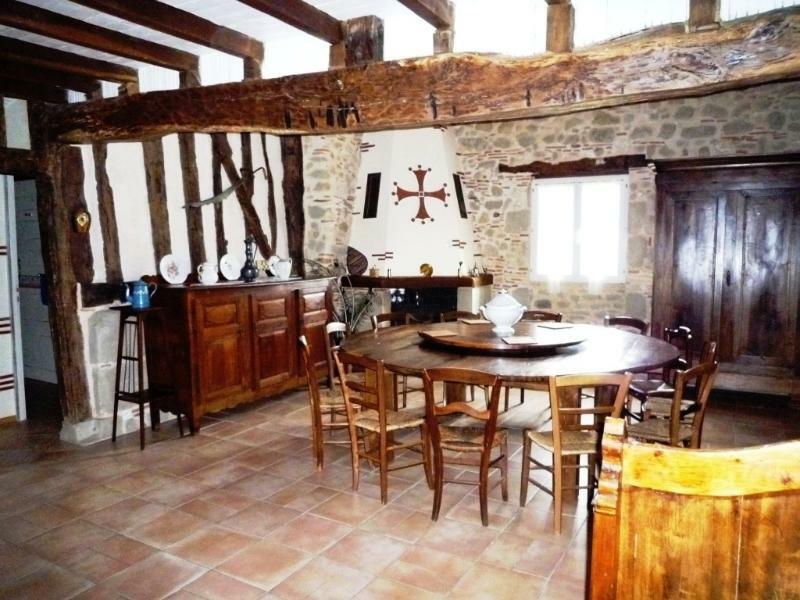 Renovated old Farmhouse of character made of stone and wood set in very tranquil area of the Lot et Garonne. Separate chalet studio for 2 persons. Large terrace of 45 square metres with large circular table capable of seating 13 persons. Above ground swimming pool. Far reaching views over gently rolling French countryside. Ideal for families of all ages requiring a relaxing holiday in a very rural setting. Located near the famous Bastide towns of France. Discover the local food, the River Lot valley and various Museums and Chateaus in the region. There is a large lake nearby, ideal for walking and fishing. A 9 hole golf course is less that a kilometre away. Hello, According to my availabilities I receive my tenants or I put the keys at disposal but I want to introduce myself to my hosts the day of their arrival at the latest around 21 hours. The price does not include the options: cleaning, sheets, towels. You can get in touch with Dany (the owner) through the contact form on this page. Send Dany (the owner) an email through the contact form on this page. Alternatively, if there’s a phone number on this page, you can call them. How do I contact Dany (the owner)? If you’ve already booked, go to Manage your holiday booking to view Dany the owner's contact details or send them a message. Or send Dany (the owner) an enquiry through the Contact the owner/manager form if you’d like a quote or more info first. When you pay online through the Book your stay form, a booking request is sent to Dany (the owner). You’ll find out within 24 hours whether they’ve accepted - no money will leave your account before then. You can also request a quote from Dany (the owner) through the contact form. The owner will email you the total cost for your dates and a link to book and pay online. Use the Book your stay form to pay provisionally online. You can pay by credit/debit card or PayPal. Dany (the owner) will have 24 hours to accept the booking and no money will leave your account before then. Why can't I call Dany (the owner) before booking? You’ll need to contact Dany (the owner) to do this. Send them a message in Manage your holiday booking or through the contact form on this page. You can request to change the dates or number of people on your booking via the Manage your holiday booking page. To change your holiday dates use the Edit booking button. If you need to change the number of guests staying then send Dany (the owner) a message. If Dany (the owner) agrees, they’ll send you a revised quote outlining the changes. You can review and accept/decline this from the Manage your holiday booking page. You’ll have 48 hours to take action before the revised quote expires.